Last night, as Mariah performed the 50th and final show of her highly-successful two year Las Vegas residency "MARIAH: #1 TO INFINITY," at The Colosseum at Caesars Palace, she surprised the audience with a Christmas in July announcement that she will return to The Colosseum this December with her acclaimed Christmas concert series "All I Want For Christmas Is You." Tickets go on sale to the general public on Saturday, July 22 at 12 p.m. PT, but starting TODAY, July 19 @ 12-noon PT, fans can access exclusive Honey B. Fly ticket pre-sales! 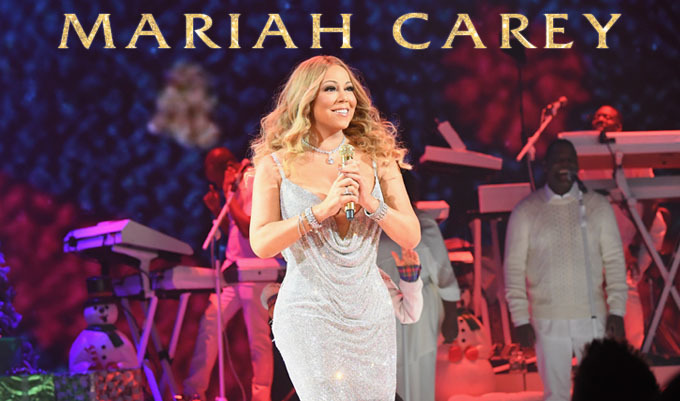 Here's how you can gain early access to concert tickets for Mariah festive holiday performance. Members, login and visit the User Profile page to determine your member level. Your Member Status will show "Legacy" or "Gold" (for Junior or New members). There is a strict 4-ticket limit per Live Pass. After you purchase 4 tickets, you may renew your live pass one time a receive a new code for up to 4 additional tickets. Help: If you have any questions about your Live Pass transaction, please use our HELP form.